I visited his birth cabin with my family in 1985. Two great Americans share February 12th as their birthday. Put the familial connection with my admiration for Lincoln's statemenship, his role in ending slavery, and his unforgettable words make Lincoln a hero in my book. However, Lincoln never had an official holiday. It was first celebrated in 1874, and over the years, many states included it in their official holidays. Today several states include Lincoln in the celebration of Washington's birthday, on the third Monday of the month of February. A few states continue to commemorate his birthday on the actual date: Arizona, California, Connecticut, Illinois, Indiana, Missouri, New Jersey, and New York. Even though Lincoln's birthday isn't a federal holiday, he is honored with the placement of a wreath on his grave by the sitting president. A different ceremony is held by the Lincoln Memorial on the Mall. Republicans take advantage of the day in recognition of the first Republican president. Ceremonies involving reenactments, a recitation of the Gettysburg Address and concerts. produced four different pennies, representing important stages in his life. Grammy-winning artists and poems for the day awarded to well-known poets. I remember Abraham Lincoln. Well. But state where I grew up (Maine) isn't among the ones still celebrating his birthday. Maybe I can blame it on my mother. In recognition of my dear mother, Anita, I will give away a book in her honor--my book dedicated to Mom and built on her memories of World War II--Homefront Dreams. Homefront Dreams is the last of my historical romances set in Maple Notch, Vermont. (Three more contemporary romances are coming.) Mayor Clarinda Tuttle Finch fights the direction the town will take with high school principal, Ralph Quincy. I've always admired Lincoln. I'd love to be around him while he's making one of his stirring speeches - I get goosebumps just thinking about it! Yet, I'd also love to buy him a coffee and just visit with him. What a fascinating guy! Homefront Dreams sounds very interesting - I love historical fiction that takes place in that era of WWII. Thank you for your very interesting post. Our history is rich! My mother has always had a fascination with Lincoln. I grew up hearing those stories. Great post! I have a close friend who's birthday is today also. I'm rather hoping you meant your mother was born in 1932 instead of 100 years earlier. ;) I'd be going for a world record on age if I were you! I love that you wrote your books on your mother's memories. Interesting post. I think Lincoln was among our best Presidents. I did not know that his birthday is celebrated on different dates , so interesting. What a national treasure is our former Pres. Lincoln. Our country is all the better because of his character. Thank you for the chance to win a copy of Homefront Dreams, which looks like a great read. Thank You for sharing about 2 special birthdays! Did your mom know you were a writer? What a great post, Darlene! Thank you for sharing your recognition of two great Americans, Abraham Lincoln and your mother, Anita B. Bremner. Today is certainly a special day! 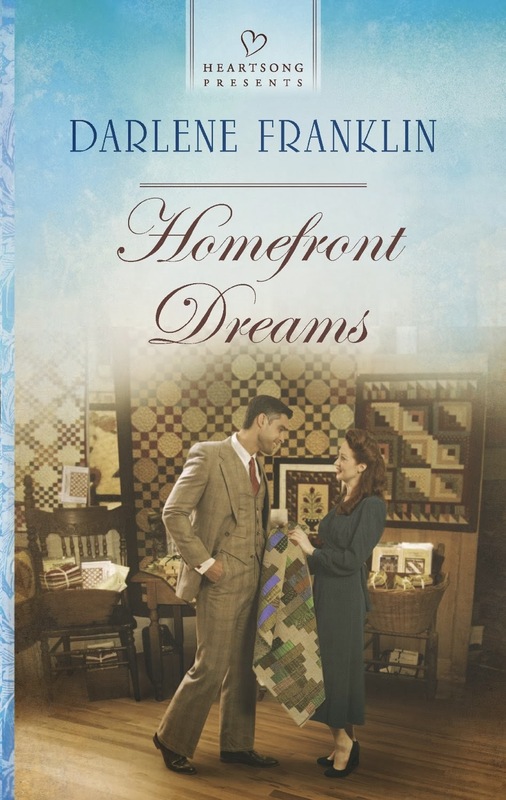 I know HOMEFRONT DREAMS is a wonderful book and thank you for the opportunity to win a copy! Hello and thank you all! Thanks for your interest in my dear mom. Hmmm, I always thought Lincoln had a day but maybe I grew up with a celebration for him and Washington. Mom's always need to be celebrated!